SOLBIATE OLONA (VA), 25th June 2016. 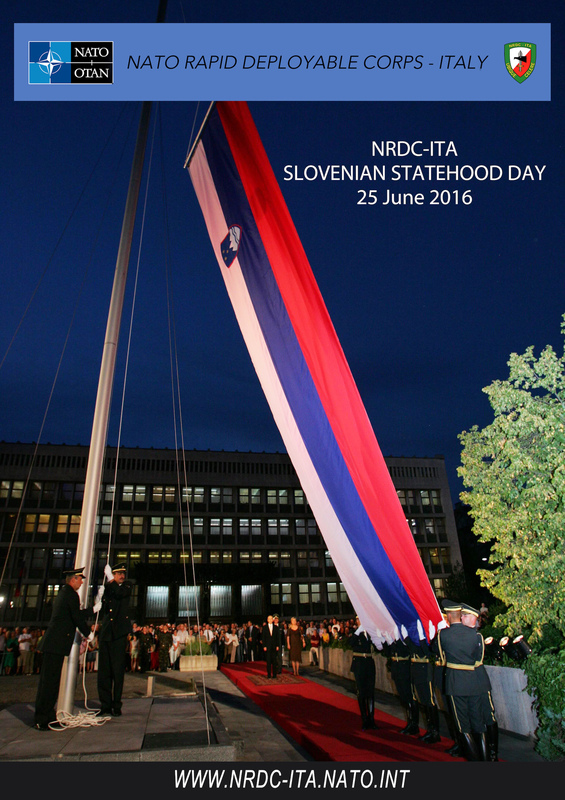 Today the NATO Rapid Deployable Corps Italy (NRDC-ITA) staff is glad to wish all the best to Slovenian contingent’s members, today celebrating the anniversary of the declaration of independence from the former Republic of Yugoslavia. Twenty-five years ago, the historic dream of an independent state of Slovenia came true. A feeling of pride, confidence and immense unity prevailed. Slovenia declared its independence on 25 June 1991. In his speech on the occasion, Milan Kučan ended with words that have remained famous: "Today, dreams are allowed; tomorrow is a new day."